Courtesy of Brian Watson, Berkshire Hathaway HomeService. Centrally located contemporary single family home. This light and bright home offers an open concept living area with 3 bedroom, 2 baths, and 10 foot ceilings. There is radiant in floor heating, and the home is prewired and ready evaporative cooling. The private fenced backyard boasts a large portal with its own lighting and a retractable shade to enjoy the cool Santa Fe evenings. The outdoor space is landscaped and needs very little maintenance. This home has been meticulously maintained by the current owners. Kachina Ridge is close to shopping, restaurants and trails. Hurry this won't last long. Directions to property: Cerrillos to Avenida De Las Americas, go left into Kachina Ridge Subdivision, follow Kachina Ridge (curves to the right). Home is on the right. 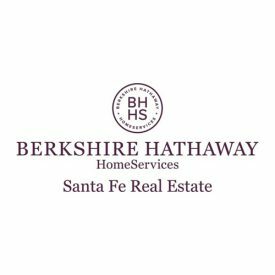 Please, send me more information on this property: MLS# 201900252 – $289,000 – 1536 Kachina Ridge, Santa Fe, NM 87507.